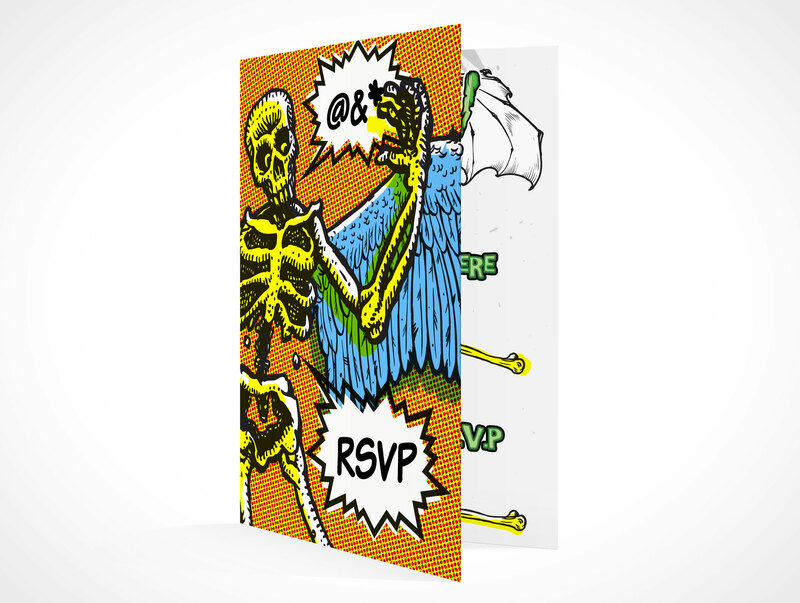 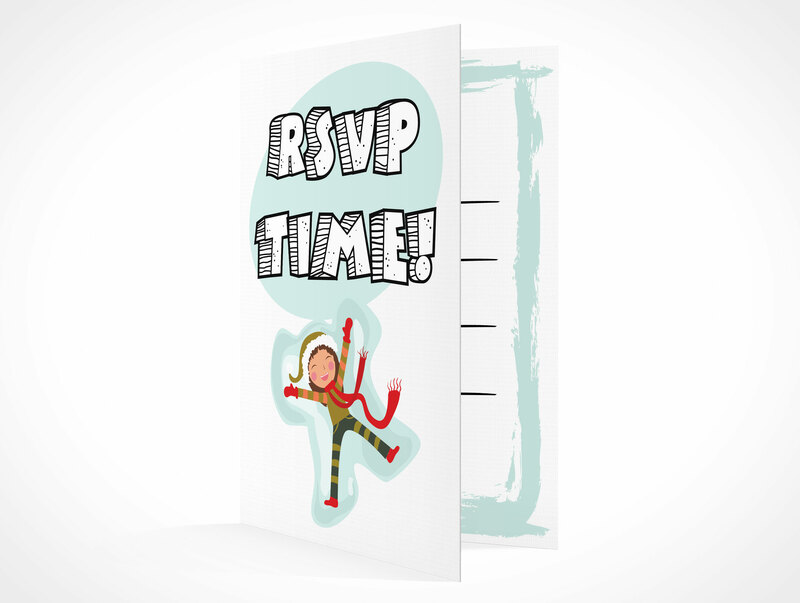 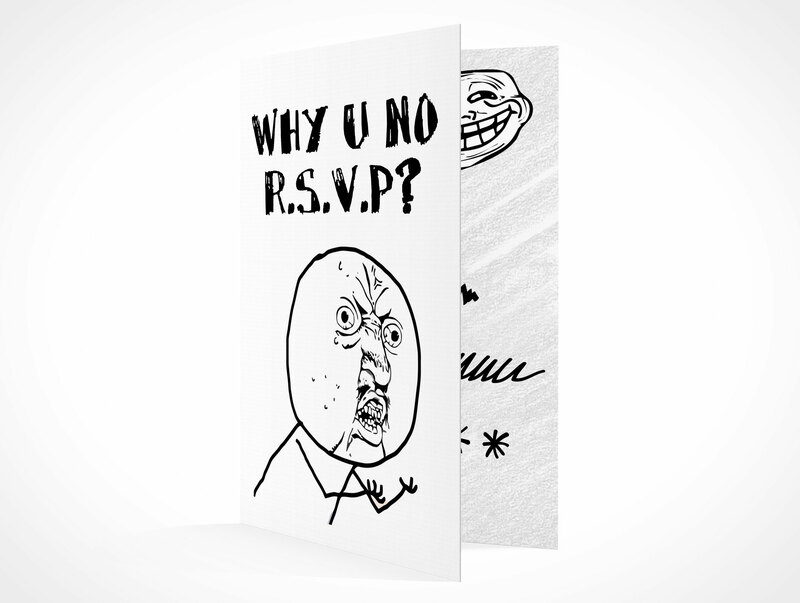 RSVPCARD002 is a double panel rsvp card for requesting attendance from invited guests. 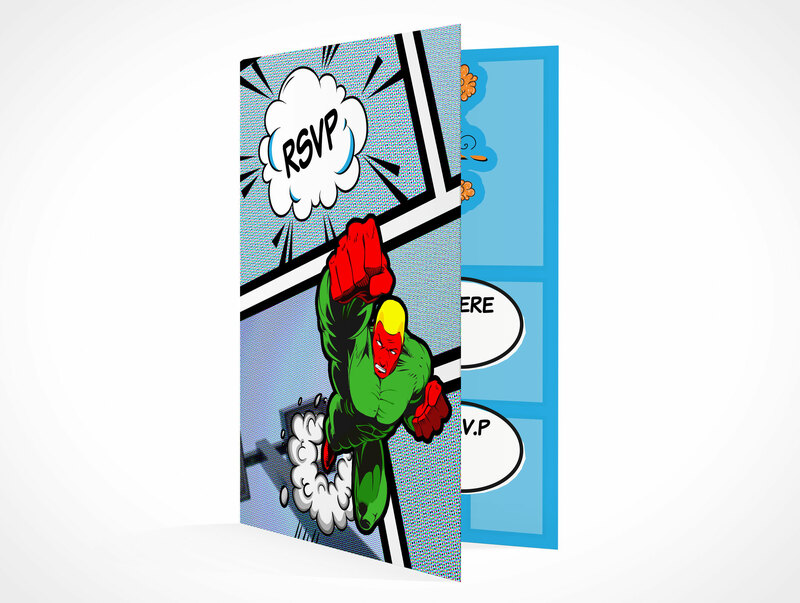 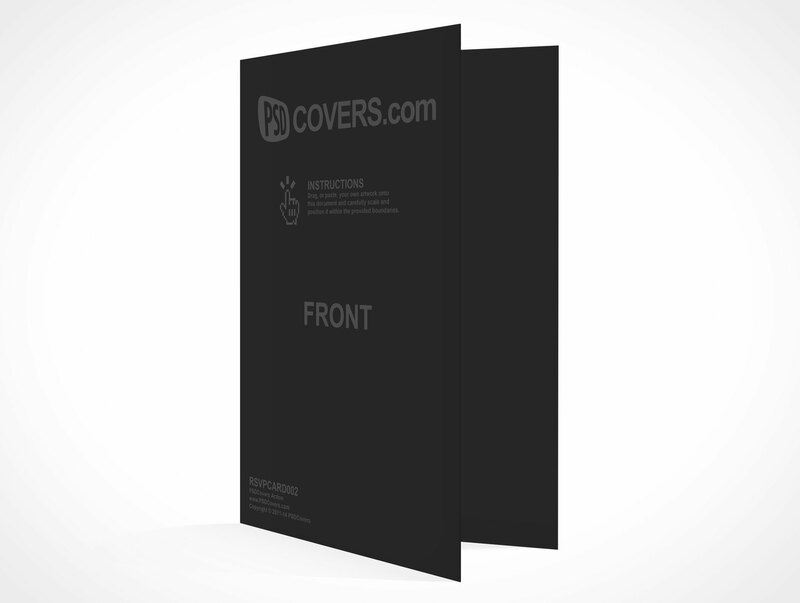 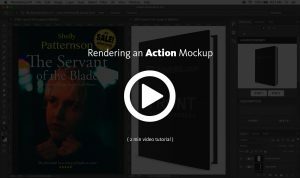 This PSD Mockup renders a standard 3.5in x 5in rsvp card standing in portrait orientation sporting a 45° angle with the inside card only partially visible. 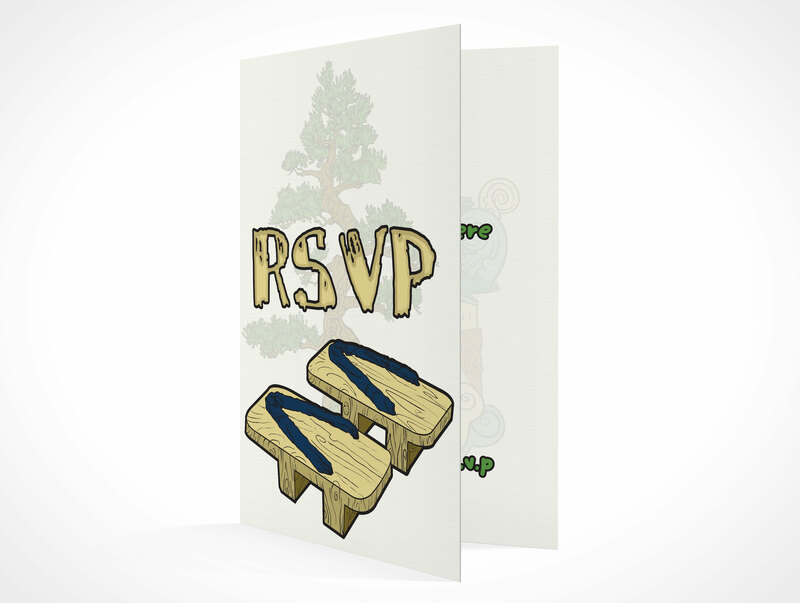 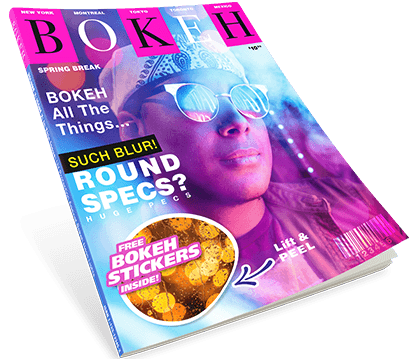 This mockup can also be used as a smaller dimension greeting card.